If you haven’t heard of Joshua Fox, then it’s best you YouTube him first to know who I’m actually talking about. Done that? Good. Let’s move on. 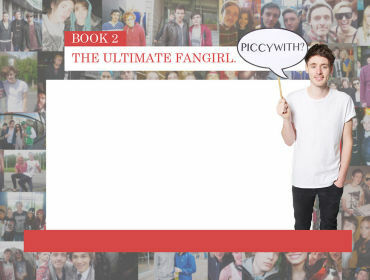 The Ultimate Fangirl is Josh’s second autobiography (his first is called Some Call it Stalking, I Call It Love. Go read it, it’s brilliant) which shares the stories of his more recent celebrity stalking adventures and also talks about certain moments in his life such as his 21st birthday in Vegas, his first true love and well, other things which I won’t tell you because that would be spoiling the read then, wouldn’t it? The book made me laugh, got me a bit emotional, made me laugh some more and even taught me a lesson or two. I must warn you, though, there is a bit of swearing throughout the book (I say a bitâ€¦) but if you’re okay with that, then you will enjoy reading this. The book also captures Josh’s personality which you see in his YouTube videos – I could actually imagine him in a video reading this entire book out loud (well, maybe in parts. I mean, it took me like 6 hours to read the book, I don’t think he’d sit there for six hours, but you get what I mean, right?). And the book in general makes you feel a lot closer to him and like he’s a mate of yours. If you like celebrities, pop culture, etc. and a good laugh, then you will love this book. 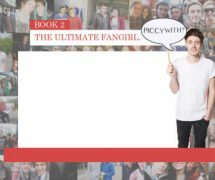 It’s also filled with lots of Piccywiths (That’s basically Josh’s word for selfie) with a ton of well-known faces and some other snaps from his adventures. Overall, I highly recommend this book. If you’re interested in reading it, then go to joshuafox.co.uk where both of his books are available as physical and virtual copies. What are you waiting for? Go do it now!